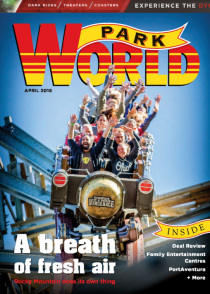 PortAventura World opens has opened for the 2019 season and will be celebrating a selection of new attractions and experiences for the year ahead, including Street Mission, the new Hotel Colorado Creek and the expansion of the Convention Centre. The new additions consolidate the resorts offer of world class leisure and family entertainment. The season kicked off on Saturday kicks off with the arrival of Street Mission, PortAventura World’s first dark ride and the first of its kind to be inspired by Sesame Street. The new ride is an interactive adventure for all ages where visitors have to help Detective Grover successfully complete a secret mission. The attraction consists of a pre-show and a 3D ride experience, featuring numerous animatronics and immersive experiences thanks to 3D video mapping technology. 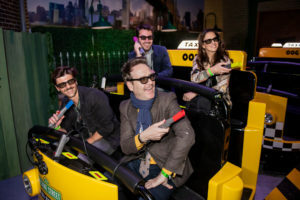 With an investment of 15 million Euros, the project has been created in collaboration with Sesame Workshop, the nonprofit organization behind Sesame Street®, and Sally Corporation, one of the leading international companies in the development of dark rides and the design of animatronics. The arrival of the new attraction strengthens the existing alliance between PortAventura World and Sesame Workshop. “The agreement with Sesame Street, which has been extended until 2031, has helped to create an attraction that will be a fantastic interactive family entertainment experience in 3D”, says Fernando Aldecoa, managing director of PortAventura World. “SésamoAventura is an incredible area that provides memorable experiences for the whole family. With the addition of Street Mission, the first ever dark ride in Europe inspired by the iconic children’s brand, PortAventura World is strengthened as a unique family tourist destination” he adds. On 1 June 2019, PortAventura World will hold the grand opening of its new superior 4-star themed Hotel Colorado Creek, the sixth hotel in the resort. It has 150 rooms of 41 m2 distributed across three buildings, to which will be annexed another building for the restaurant and exclusive car park. The theming will be inspired by the gold rush era of the Wild West and will continue to delve into the history of the hotel complex made up by Hotel Gold River, Hotel Callaghan’s and Hotel Mansión de Lucy. 25 million Euros has been invested in this new hotel and it will bring the resort’s accommodation offering to a total of more than 2,200 rooms, expanding the hotel capacity of PortAventura World even further. In 2018, the resort recorded more than 1 million overnight stays. Hotel Colorado Creek will be the resort’s first zero-emission hotel. This line of strategy, driven by PortAventura World, will be extended to other facilities around the resort to minimise the resort’s carbon footprint. Since the Convention Centre opened in 2009, PortAventura Business & Events offering has experienced steady growth, culminating in an incredible 204 events in 2018. 62% of the organised events were corporate, whilst the remaining 38% included conferences, incentives, sports, and charity. Companies such as Coca-Cola, MARS Iberia, Seat and La Caixa, amongst others, entrusted PortAventura World with the management of their events. In 2019, the Convention Centre will undergo a significant expansion of its infrastructures of more than 6,000 m2, from 14,000 m2 to 20,000 m2, in order to increase its capacity and hold simultaneous and larger-scale events. Along the same lines, PortAventura World is carrying out substantial renovations on Hotel PortAventura, which are scheduled for completion at the end of May and represent an investment of 12 million Euros. The refurbishment, which enhances the Mediterranean ambience of the establishment, includes a complete overhaul of the rooms and main communal areas such as the buffet restaurant and the facade. All the projects and developments carried out in 2019 are governed by the company’s environmental management policy, pioneering a new concept of holiday leisure that puts sustainability at the centre of the strategy. 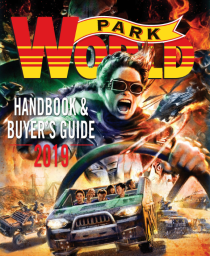 PortAventura World was one of the first companies to sign up to UNWTO’s Global Code of Ethics for Tourism and, in 2017 it was an active participant in the International Year of Sustainable Tourism for Development. The company currently implements actions for 13 of the 17 Sustainable Development Goals. In 2018, PortAventura World welcomed a record 5 million visitors, totalling a grand total of 85 million visitors since its inauguration. Halloween and Christmas, two of the most eagerly-awaited events of the year, recorded a significant increase in the number of visits, with 17% more at Halloween and 10% more at Christmas, compared to the same period in 2017. The international market accounts for 36% of visitors to the parks and 54% of stays at the various hotels within the resort. This strategic investment plan and innovation in new projects, which has a budget of 90 million Euros for 2019, strengthen PortAventura World’s position as the best family leisure destination in Europe.